The Dutch Shepherd Dog Club of America™ endorses the United Kennel Club philosophy promoting the working aspect of the pure bred dog and designing its events for dogs that look AND perform equally well. It sometimes makes no difference how intelligent a dog may be if it suffers from physical faults that restrict or inhibit the dog from performing tasks required. 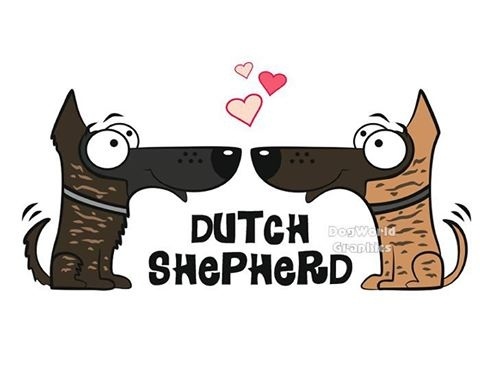 Therefore, we encourage Dutch Shepherd breeders to do everything possible to eliminate hip and elbow dysplasia by only using breeding stock that is x-ray cleared (hips and elbows) with OFA certification obtained at the appropriate age. Several other diagnostic test results are also compiled by the Orthopedic Foundation for Animals. A listing appears below reflecting the evaluations accumulated for a variety of genetic tests. To view evaluation results of DUTCH SHEPHERD dogs submitted, please click the below link to the Orthopedic Foundation for Animals' website.